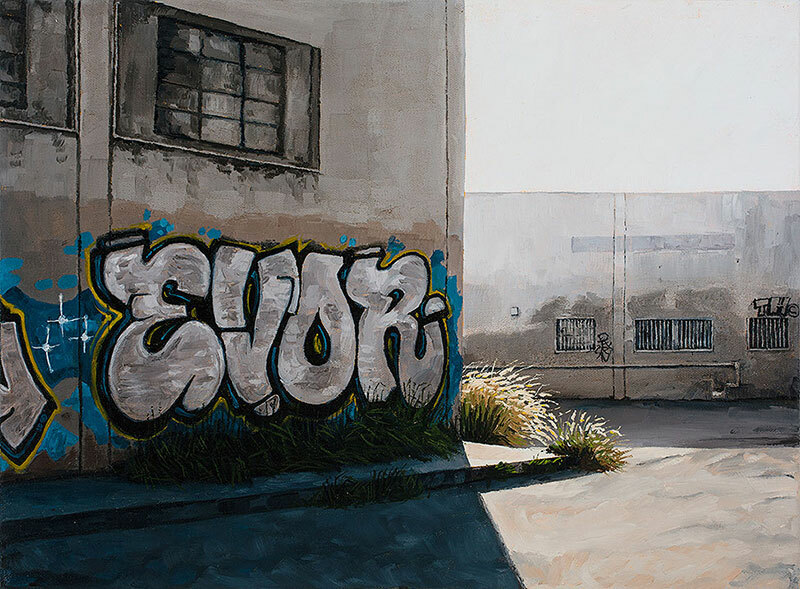 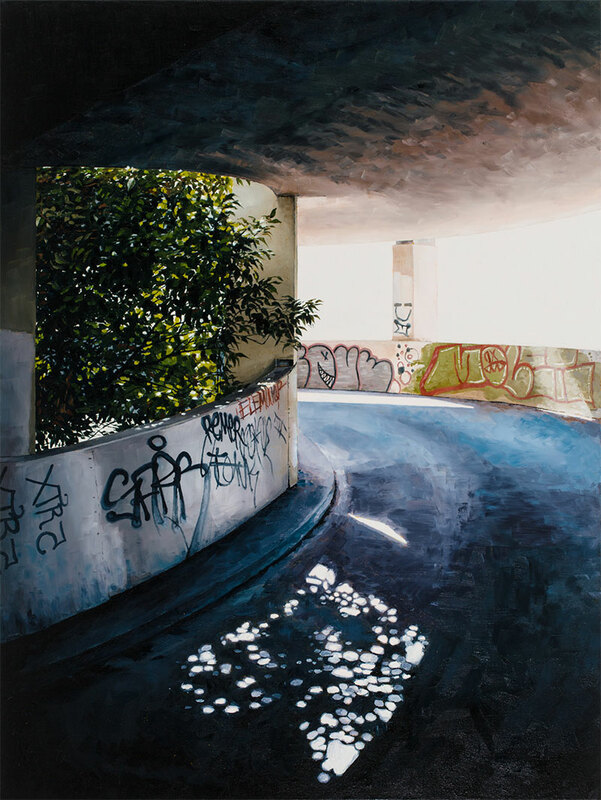 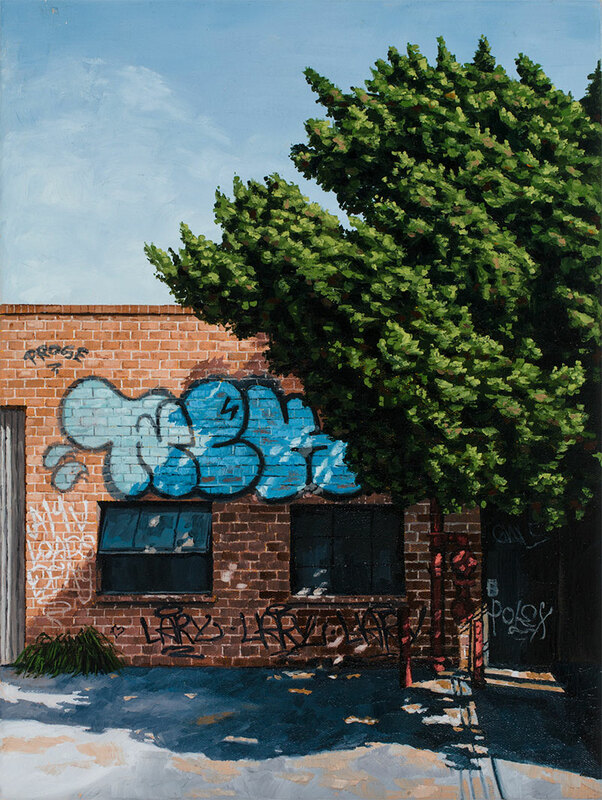 New paintings by Portland-based artist Stephanie Buer that captures the vacant and desolate sprawl of abandoned urban spaces. 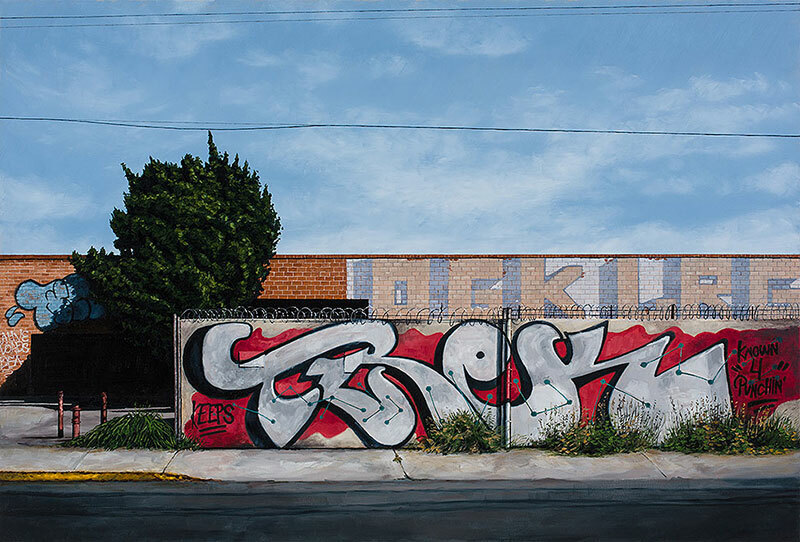 Buer finds beauty in buildings and areas that have been left in disrepair or have been overcome by graffiti, a recurring element in her work. 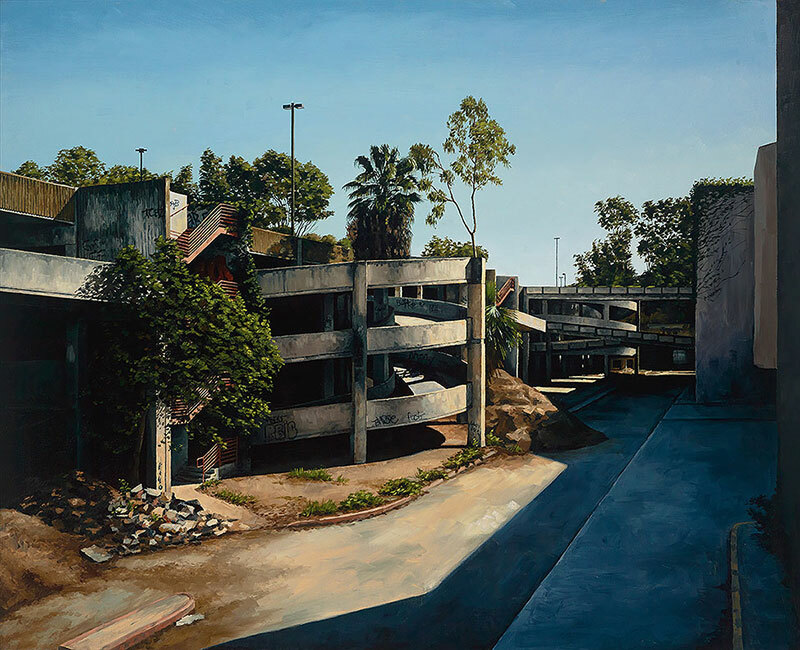 In Uncommon Silence, Buer has taken on the city of Los Angeles by capturing the light and atmospheric nature of LA as a result of a week spent exploring its recesses and urban derelicts. 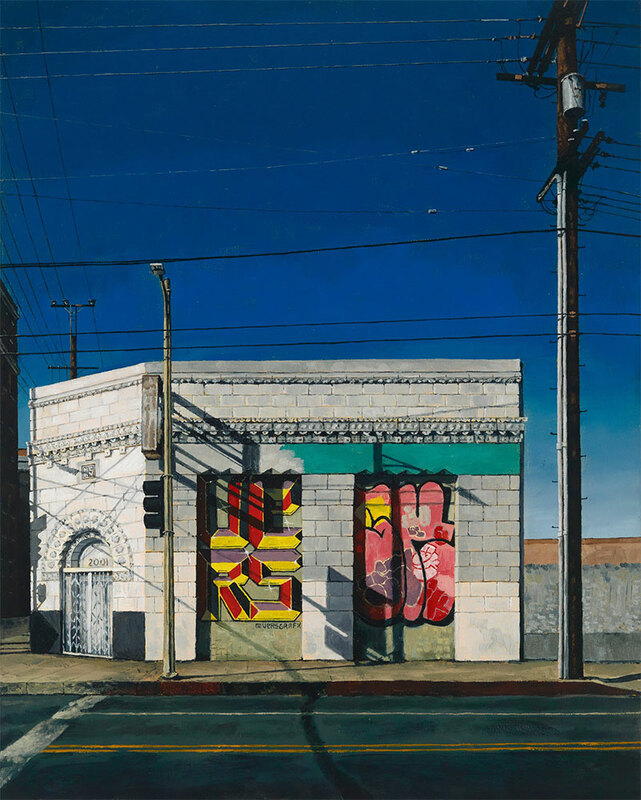 Paying homage to a city that has played an integral role in the development of her career, the exhibition captures the specificity of LA as a place of great cultural and environmental contrasts, architectural diversity, fullness, and scarcity. 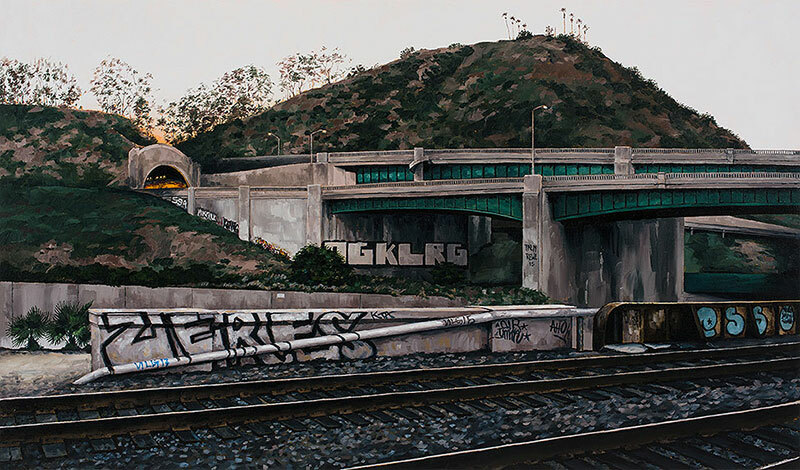 On view at Thinkspace Gallery through January 28. 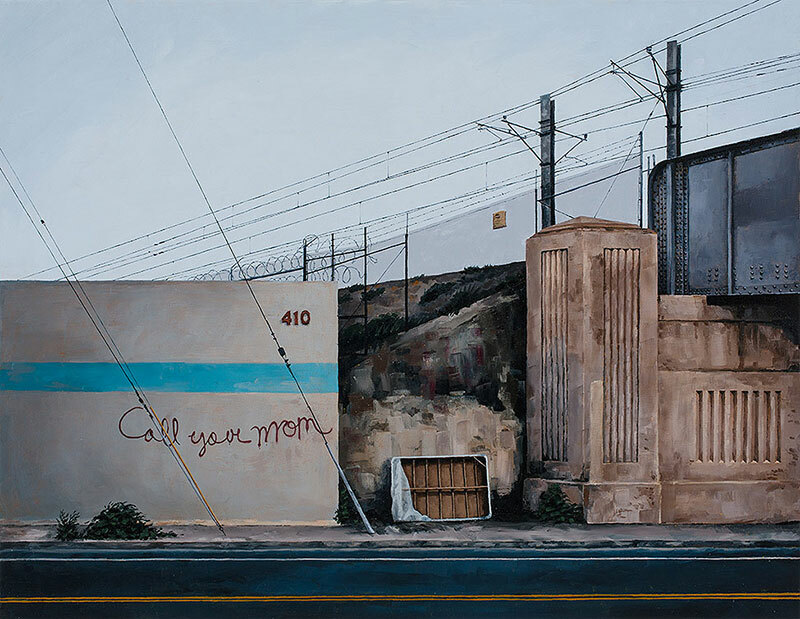 New paintings by Portland-based artist Stephanie Buer that captures the vacant and desolate sprawl of abandoned urban spaces.